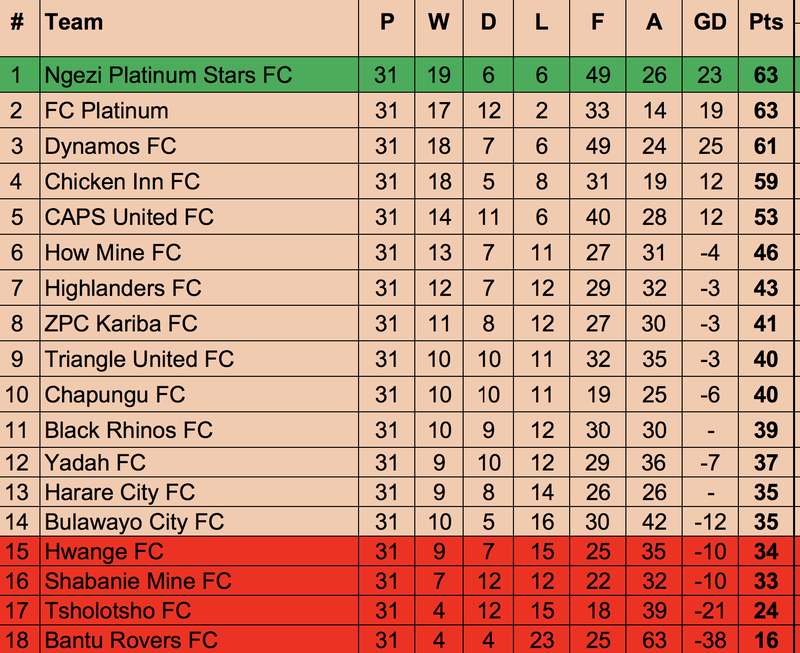 Ngezi Platinum regained their top spot when they beat Bantu Robers 1-0 in a match played at Luveve Stadium on Sunday. Donald Teguru scored the all important goal for the visitors in the first half. The match started with Ngezi retaining the better part of possession and their first real chance came in the 14th minute but they were denied by the goalkeeper. Qadr Amini had a glorious chance just over the half hour mark but his effort went wide. However Madamburo broke the deadlock in the 41st minute when Donald Teguru found the back of the net. The second half showed no special moments as both teams tussled for possession in the midfield. Teguru’s effort was the difference as the scoreline remained unchanged at the end of ninety minutes to give Ngezi three vital points. 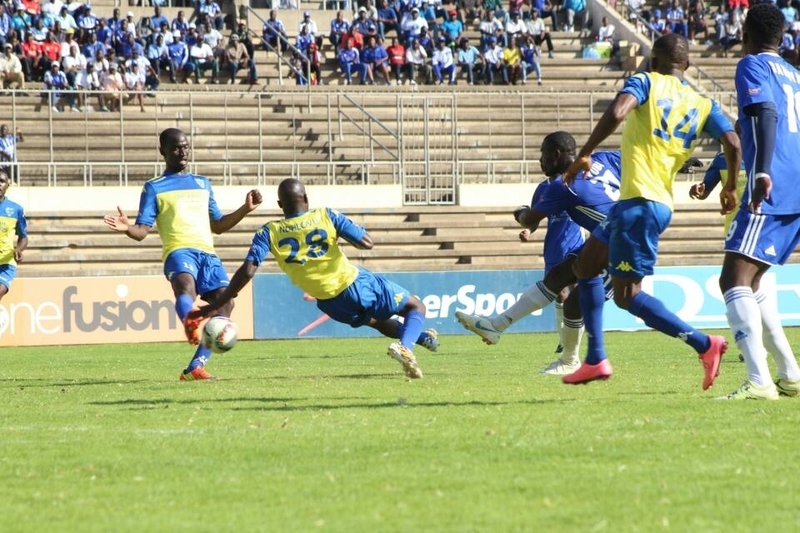 At National Sports Stadium, Dynamos picked up three crucial points against Chapungu in a 1-0 victory. Quality Kangadzi was the hero of the day when his late strike earned the Glamour Boys a vital win. The visitors settled early and dominated possession in the first opening minutes. Dynamos gained ground later when Peace Makaha’s beautiful cross was cleared. This was the home team’s first meaningful attack which was followed by an effort which was cleared off the line towards the half time. The teams went to half time tied on deadlock. The second half resumed and it was Masimba Mambare who failed to knock the ball in to the net from an unmissable point, five minutes from start. With the match seemingly heading for a stalemate, Kangadzi decided the out come with his flash header which beat the goalkeeper in the 88th minute. Kangadzi’s effort was the last highlight of the match as Dynamos moved to 3rd position on the table with 61 points. Elsewhere Hwange thrashed Highlanders 3-0 in a match played at Colliery Stadium. Delic Murimba scored the opening goal in the 33rd minute before they doubled the lead in the second half through Kaunda. The visiting team were disjointed in all departments and they conceded another one in the 88th minute. 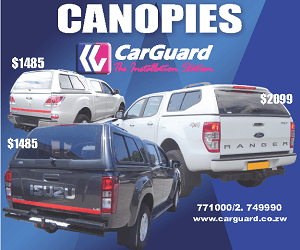 The emphatic victory boosted Hwange’s chances of surviving relegation this season. At Gibbo Stadium, things didn’t go according to the plan for Harare City as they lost 2-1 against Triangle United. Martin Vengesai scored an own goal on the half hour mark which put the Sugar Boys in to the lead before Peace Tshuma struck home eight minutes later. Substitute Kamunda restored the lead for Triangle in the 70th minute and his effort proved to be the decider in the match. The result means Harare City are now two places above the relegation zone.